Today I received the following e-mail from a follower of Jesus with a deep social conscience, Christian Harvey. Being involved on a daily basis with the homeless and marginalized segment of our population, I'm encouraged when I see young men like Christian Harvey taking these lifechanging initiatives. Winter is coming!! Not right away, but it will hit us before we know it. For some in our city this causes a life threatening problem, they have nowhere to sleep. Our 1 men’s shelter, 2 women’s shelter and 1 youth shelter understandably cannot meet all the many and complicated needs that arise. 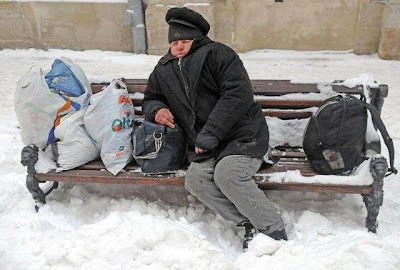 Each year people have fallen through the gaps and a rushed, piecemeal effort is thrown together, often well after winter is started to try and keep people safe and warm. I have been working in conjunction with the City, Health Unit, Canadian Mental Health and other community advocates, and this year we are trying to do better. We are hoping to have a warming room open every night from 5pm-8am, November-March. In order for this to happen we need many volunteers. Our goal is to have 8 volunteers every night: four would be on for a shift from 5pm-12am and four from 12am-8am. Ideally, if someone were to volunteer they would take one shift every 2 weeks. This means they would be committing to 11 shifts over the roughly 22 weeks we would be open. In order for this to become a reality we will need roughly 110 volunteers. This is where you, our church leaders, come in. Our churches are full of potential volunteers. People who long to make a difference but don’t know where to start. This is that start. • Volunteer yourself. Having our faith leaders present would be hugely influential. • Advertise in your church. Actively seek out those in your congregation who may be open to such an adventure. • As a church sponsor one night every two weeks. How does this work? You are saying, for example, that every other Tuesday night is your night. You are committing that you will be responsible for finding the volunteers to run that night. We are hoping to have volunteer training sessions happening in the month of October so that volunteers will feel equipped to deal with issues that may arise as a result of mental health or addiction. If you are interested in volunteering or have any questions about this program please call me at 705-768-6050 or email christian@trentdurhamyouth.com. Lets see if this year we can make sure no one is left in the cold.